Piano, keyboard, guitar, accordion, saxophone, violin, drums, bongos, congas, bass guitar, electric guitar, tabla, dholak, harmonium, harpsichord, santoor, sitar, sarod, percussion. Arshad Sami Khan ; was a Pakistani diplomat, bureaucrat and soldier. He started his career as a Pakistan Air Force fighter pilot and later served 3 Presidents of Pakistan as their aide-de-comp (A.D.C.) and later went on to the Ministry of Foreign Affairs where he served 3 Presidents and 4 Prime ministers as chief of protocol. He was later appointed as a diplomatic ambassador of Pakistan to 14 countries. This was followed by his appointment as the first Commissioner General of Pakistan. He was also Federal Secretary of Culture and retired as a top Grade-22 bureaucratic officer. He was also the father of singer and music composer Adnan Sami. Pandit Shivkumar Sharma is an Indian music composer and santoor player from the state of Jammu and Kashmir. The santoor is a folk instrument. Rahul Dev Burman was an Indian music director who is regarded as one of the most influential composers of the Indian film industry. Nicknamed Pancham, he was the only son of the composer Sachin Dev Burman. In his career of 32 years, Sami has won many international awards including the Nigar Award, Bolan Academy Award and Graduate Award. Adnan is the youngest recipient of the Naushad Music Award for Excellence in Music. Previous recipients of this award include Lata Mangeshkar and Music Maestro Khayam. Sami was invited as a member of the jury of the music festival Voice of Asia competition held annually at Almaty, Kazakhstan. Voice of Asia is a music festival held annually in Almaty, Kazakhstan. Acts from all over Asia and other areas take part. The usual venue for the festival is the outdoor Medeo speed skating rink, situated on the mountainous outskirts of the Tian Shan, several kilometers away from the Almaty center. His first formal album, The One & Only (1989), was a classical album on the piano accompanied by tabla maestro Zakir Hussain. He released his first vocal solo album Raag Time in 1991. The song from his album Teri Yaad was the title track of his first album, which became a huge hit in Pakistan. In 2006, he took a sabbatical and reportedly lost over 160 kg. He came back in April 2007 with the album Kisi Din. [ citation needed ] In 2007, he sang the soundtrack "Dil Kya Kare" from the Hindi film Salaam-e-Ishq: A Tribute to Love and "Noor-e-Khuda" from My Name Is Khan . 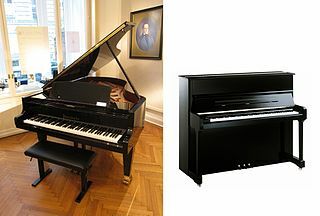 As a classical concert pianist, Sami has given solo performances before royalty such as the King of Sweden and King Hussein of Jordan. He has performed before heads of state and governments such as President Mitterrand of France, the President of the United Arab Emirates, the President and Prime Minister of India, the President and Prime Minister of Pakistan, the President and Prime Minister of Kazakhstan, the Prime Minister of Kyrgyzstan, the Prime Minister of Sweden and Princess Christina of Sweden. Adnan has performed for music festivals to sold-out stadiums of his solo concert tours all over the world in over forty countries. His work has associated him with prominent people from the Indian film and music industry. In the summer of 2003, Sami became the only musical artist from the entire Asian region to have sold out Wembley Stadium in London for two nights in a row; this was recorded in the Limca Book of World Records   (Asia's equivalent to the West's Guinness Book of World Records ). He did this again in 2005, 2008, and 2012. His performance of a qawwali called "Bhar Do Jholi Meri" from the blockbuster film Bajrangi Bhaijaan , released in July 2015, became a worldwide hit; he appeared in the movie as well. This was the first time he attempted to sing a qawwali at the insistence of actor Salman Khan,[ citation needed ] who starred in the film. Sami was first married to actress Zeba Bakhtiar (her third marriage) in 1993, with whom he had a son named Azaan Sami Khan. They divorced after three years. In 2007, Sami was given a Special Award from the U.K. Parliament (House of Commons) for his 'Outstanding Contribution to Sub-Continental Music'. Later in 2013, Sami was given a Special Award by the Canadian Parliament for his 'Exceptional Services to Indian Music'. 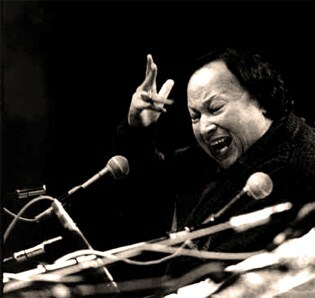 Nusrat Fateh Ali Khan, born Anjum Pervaiz Ali Khan, was a Pakistani vocalist and musician, primarily a singer of Qawwali, a form of Sufi Islamic devotional music. Widely considered one of the greatest voices ever recorded, he possessed an extraordinary range of vocal abilities and could perform at a high level of intensity for several hours. Extending the 600-year old Qawwali tradition of his family, Khan is widely credited with introducing Qawwali music to international audiences. He is popularly known as "Shahenshah-e-Qawwali", meaning "The Emperor of Qawwali". Kattassery Joseph Yesudas is an Indian musician and playback singer. Yesudas sings Indian classical, devotional and cinematic songs. He has recorded in a number of Indian languages, including Malayalam, Tamil, Hindi, Kannada, Bengali, and Telugu as well as Arabic, English, Latin, and Russian, during a career spanning more than five decades. Ustad Ghulam Ali (Urdu: غُلام علی ‎), (born 5 December 1940) is a Pakistani ghazal and playback singer of the Patiala Gharana. Ghulam Ali was a disciple of Bade Ghulam Ali Khan and Chhote Ghulam Ali, who is another Pakistani singer in the "Qawwal Bachhon ka Gharana". Ali Zafar is a Pakistani singer-songwriter, model, actor, producer, screenwriter and painter. Zafar started out on Pakistani TV before becoming a popular musician. He later also established a career in Bollywood and his success led many Pakistani actors to venture into Hindi films. He has received five Lux Style Awards and a Filmfare Award nomination. Shafqat Amanat Ali Khan, is a Pakistani classical singer belonging to Patiala Gharana lineage. He was the lead vocalist of the Pakistani rock band Fuzön. He was awarded the President's Pride of Performance civil award on 23 March 2008. Jeet Gannguli, popularly known as Jeet, is a score composer of Bengali and Hindi movies. Gannguli is a music director in Bollywood, scoring music for films. Sargam is a Pakistani musical Urdu film directed by Syed Noor starring the singer Adnan Sami and his ex-wife Zeba Bakhtiar. Muhammad Atif Aslam is a Pakistani singer-songwriter and actor.His movie debut was the 2011 social drama Bol. He has recorded numerous chart-topping songs and is known for his vocal belting technique. He predominantly sings in Urdu and Punjabi, but has also sung in Bengali. He is a recipient of numerous Lux Style Awards, he also received Tamgha-e-Imtiaz in 2008, the fourth-highest decoration given to civilians in Pakistan. 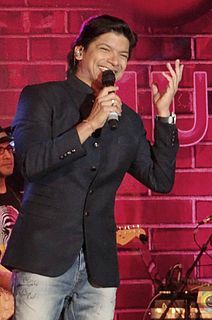 Vijay Prakash is an Indian singer and music composer from Mysore, Karnataka. He has given his voice for Hindi films such as Blue, Yuvvraaj, Swades, Kaal, Lakshya, Matrubhoomi, Tere Naam, Cheeni Kum, Raavan and Force. He has also performed in Kannada, Tamil, Telugu, Malayalam and Marathi movies. He is one of the judges for the Kannada reality show Sa Re Ga Ma Pa on Zee Kannada and has also performed shows with Zakir Hussain.He won the Karnataka Government's 'Best Playback Singer' award for the year 2016 for the song 'Nammooralli Chaligaladalli' from the film Beautiful Manasugalu. Sameer Anjaan is an Indian lyricist, writing primarily for songs in Hindi language films. He is a Guinness World Record holder for writing the most number of songs. He was awarded this honor on 17 February 2016. 1 2 Chaturvedi, Anshul (3 January 2016). "Adnan Sami: I was born on 15th August, studied Gandhi, landed up in Mumbai". The Times of India . Retrieved 7 May 2016. 1 2 3 Kamini Mathai (2009). A.R. Rahman: The Musical Storm. Penguin Books India. p. 91. ISBN 9780670083718. ↑ "Adnan Sami to sing in Bengali". rediff.com. 13 December 2004. Archived from the original on 3 February 2009. Retrieved 31 January 2009. 1 2 "'Music is the medium of love'". 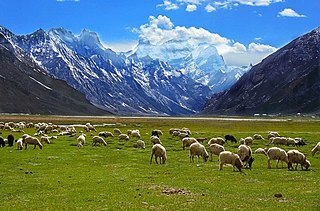 Pakistan Dawn. 21 December 2003. Archived from the original on 3 February 2009. Retrieved 31 January 2009. 1 2 3 4 "Adnan Sami: I respect my earlier two wives for the times we shared and for being a part of my life". The Times of India. 1 2 3 "Adnan Sami: Fastest fingers first". The Times of India. 16 April 2001. Retrieved 31 January 2009. 1 2 3 4 "Adnan a big hit with Indipop fans". The Tribune. 26 April 2001. Archived from the original on 3 February 2009. Retrieved 1 February 2009. 1 2 "From the community: Adnan Sami Spectacular Concert was a huge success in Chicago". 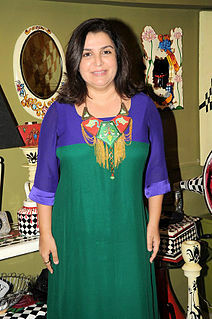 British-born 39-year old Sami is of Pakistani origin, currently holds Canadian citizenship, and lives in Mumbai, India. ↑ "Adnan Sami feels Indian". mid-day.com. 12 June 2011. Retrieved 12 June 2011. ↑ "Soulful singer". The Hindu. Chennai, India. 6 October 2005. Archived from the original on 3 February 2009. Retrieved 31 January 2009. ↑ "Fitted for fame". The Hindu. Chennai, India. 13 October 2007. Archived from the original on 3 February 2009. Retrieved 31 January 2009. 1 2 ""Roya has rejuvenated me" - Adnan Sami". filmfare.com. ↑ "Pakistani nationality: In 2002, when I couldn't oblige singer Adnan Sami". Jantaka Reporter. 1 January 2016. Retrieved 28 March 2017. ↑ "Estonia and Pakistan Bilateral Relations". vm.ee. Archived from the original on 22 September 2012. Retrieved 10 October 2014. 1 2 "Up-close with Adnan Sami". The Hans India. 9 December 2016. Retrieved 28 March 2017. ↑ "Adnan Sami: Fastest fingers first". The Times of India. ↑ "Play it again Sami..." The Times of India. 15 August 2004. Retrieved 31 January 2009. ↑ "Adnan Sami — Biography". Zoomtv.in. Archived from the original on 28 February 2009. Retrieved 30 August 2010. ↑ "Adnan Sami turns actor after 25 years of music". hindustantimes.com. ↑ "Happy Birthday Adnan Sami". 103fm.net. Archived from the original on 2 February 2015. ↑ "Non-Film Songs - Raag Time (1991) - MySwar". myswar.com. ↑ ">Bollywood movies stars Adnan Sami Career". bollywoodsupersrats.WordPress.com. ↑ "Adnan Sami". artistbooking.in. Archived from the original on 2 February 2015. Retrieved 2 February 2015. ↑ "Legendary: Asha Bhosle - Guyana News and Information Discussion Forums". hoop.la. ↑ "On the winning note". Screen. 26 January 2001. Archived from the original on 3 February 2009. Retrieved 31 January 2009. 1 2 Khatib, Salma (4 January 2002). "Non-Film Music". Screen. Archived from the original on 8 September 2009. Retrieved 1 February 2009. ↑ "Adnan Sami - AmaYaar.com". AmaYaar.com. Archived from the original on 2 February 2015. Retrieved 2 February 2015. ↑ "It's family first for Aditi Govitrikar". The Times of India. 10 June 2002. Retrieved 1 February 2009. 1 2 "Musical gypsy Adnan Sami pairs with Amitabh". The Times of India. 16 October 2002. Archived from the original on 16 September 2005. Retrieved 31 January 2009. ↑ "Adnan Sami - FilmiTadka". filmitadka.in. ↑ "Singer Adnan Sami Antakshari songs game play". myantakshari.com. ↑ "rediff.com, Movies: What's on in Bollywood: Salman-Ash? Tread with care!". rediff.com. ↑ "'It's no good being good all the time'". rediff.com. 20 September 2001. Archived from the original on 3 February 2009. Retrieved 1 February 2009. ↑ bollywood72. "Shahrukh, john abraham, adnan sami & shoaib akhtar pepsi - vidéo dailymotion". Dailymotion. ↑ Adnan Sami Pepsi Cricket Ad. YouTube. 23 March 2008. ↑ "David Correy -- The World is Ours (Lyric Video): Coca-Cola's 2014 FIFA World Cup™ Campaign Anthem". in.com. Archived from the original on 12 February 2015. Retrieved 12 February 2015. ↑ "Adnan Sami At NDTV-Coca Cola 'Support My School' Campaign Picture 8 - Movie Talkies". movietalkies. ↑ "Adnan Sami" . Retrieved 1 August 2016. ↑ "Indian until proven guilty: Adnan Sami can't buy his way out". tribune.com.pk. 1 2 3 4 5 "The roly-poly pied piper of op". The Hindu. 17 October 2002. Archived from the original on 4 February 2009. Retrieved 31 January 2009. 1 2 3 "Play it again, Sami". rediff.com. 20 January 2003. Archived from the original on 3 February 2009. Retrieved 3 February 2009. ↑ "Urdu to the rescue". Screen. 27 December 2002. Archived from the original on 3 February 2009. Retrieved 3 February 2009. Sami's Tera Chehra broke sales records by becoming India's best-selling album of 2002 (including film soundtracks), continuing its No. 1 position in 2003, and by becoming the best-selling Indian album of all time (including film soundtracks) in the U.S. and Canada. The album stayed in the No. 1 position in all the music charts of India from the time of its release in September 2002 for over a year, beating his debut album's No. 1 record. 1 2 "Adnan Sami's secret for happiness". Hindustan Times. Archived from the original on 4 May 2007. Retrieved 10 April 2007. ↑ "'Yes,I'm in love'". The Times of India. 1 September 2005. Retrieved 3 February 2009. ↑ "Adnan admits being in love with an actress". rediff.com. 1 October 2005. Retrieved 3 February 2009. ↑ "Adnan Sami makes a sleek comeback". Radiosargam.com. 30 November 2006. Retrieved 3 August 2012. ↑ "Music album of film Shaurya launched in Mumbai". Daily India (From ANI). Archived from the original on 17 May 2008. Retrieved 10 October 2014. ↑ "Adnan Sami Khan - The Official Fan Site! Musical Legend :::: Design: Avurt.com". adnansamikhan.com. Archived from the original on 1 May 2012. 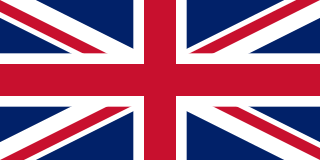 ↑ "Mangalorean.com - Mangalore News Articles, Classifieds to Around the World". mangalorean.com. Archived from the original on 12 February 2015. ↑ "Pearl Rise Entertainment: Search results for adnan sami indian cricket team". pearlriseentertainment.blogspot.in. ↑ "Musical Genius "ADNAN SAMI" Live In Concert - Washington DC (Friday, 12th April) - Limited Tickets - One Performance Only". Eventbrite. 1 2 "Biography". Radioxl.net. 15 December 2002. Archived from the original on 19 February 2012. Retrieved 3 August 2012. 1 2 "Beyond the frill..." The Hindu. 23 August 2004. Archived from the original on 4 February 2009. Retrieved 1 February 2009. ↑ "Adnan Sami Tickets". Sports, Concerts and Theater Events Blog. ↑ "Adnan-Sami- Latest Update" . Retrieved 1 August 2016. ↑ "Adnan rocks at Taj grand finale". The Times of India . 28 September 2005. Retrieved 27 July 2011. ↑ Rajendra Kandpal. 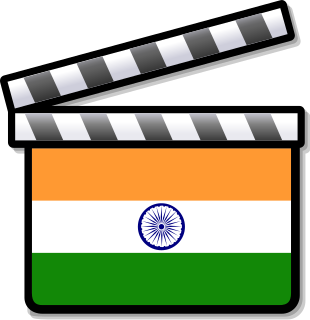 "Film Udyog Se". filmudyogse.blogspot.in. ↑ "Adnan Sami Khan Bio - Adnan Sami Khan Career". MTV Artists. ↑ "Adnan Sami, Kailash Kher to judge Li'l Champs". The Times of India. 1 2 3 "Pakistan singer Adnan Sami gets Indian citizenship". The Times of India. 31 December 2015. Retrieved 31 December 2015. ↑ "Adnan Sami Weight Loss". adnansamiweightloss.com. ↑ "Adnan Sami reveals his weight loss secret". arynews.tv. ↑ "Adnan Sami loses more weight for his acting debut". The Times of India. ↑ "The biggest 'loser': Didn't undergo weight-loss surgery, says Adnan Sami". hindustantimes.com. ↑ "I will fight it out with wife: Adnan Sami". intoday.in. ↑ "Mathrubhumi - Kerala News, Malayalam News, Politics, Malayalam Movies, Kerala Travel". mathrubhumi.com. Archived from the original on 2 February 2015. ↑ "Singer Adnan Sami's father passes away". IBNLive. ↑ "My father's loss was the biggest blow: Adnan Sami". hindustantimes.com. ↑ "Adnan Sami says new wife special for many reasons". Masala! - Bollywood Gossip News, Indian Celebrities and Pictures. ↑ "Adnan to marry again to a girl called Roya". mid-day. 20 January 2010. ↑ "Adnan Sami becomes a father again!". 11 May 2017. ↑ "I'll be there for you, says Adnan Sami to Kiren Rijiju!". 1 2 "Adnan Sami back for weekend Wembley date". Menmedia.co.uk. 16 October 2008. Retrieved 27 November 2010. the star has also won many international awards including MTV's "breakthrough artist of the year award" in 2001, the Nigar Award, Bolan Academy Award and the Graduate Award. ↑ "Indian Singers: Adnan Sami Khan". Archived from the original on 16 May 2008. Retrieved 29 May 2008. 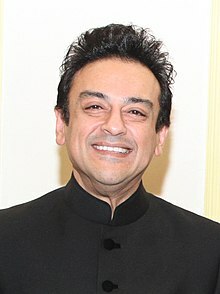 ↑ "Adnan Sami Biography and Awards". Telepk.com. Retrieved 3 August 2012. ↑ "A concert in Toronto". Pakistan Dawn. 1 June 2003. Archived from the original on 3 February 2009. Retrieved 1 February 2009. ↑ "Indian POP stars – Adnan Sami". indian-music.com. Archived from the original on 19 December 2012. Retrieved 3 August 2012. ↑ "Shareef joins AP Culture Dept in honoring Adnan". indiapost.com. Archived from the original on 15 May 2008. Retrieved 21 January 2008. ↑ "An eve to remember for Adnan Sami". The Times of India. 17 January 2008. Retrieved 1 February 2009. ↑ Nazhat (8 March 2008). "The UK Asian Music Awards 2008". desiblitz.com. Archived from the original on 4 August 2010. Retrieved 24 August 2010. ↑ "Adnan Sami: Adnan honoured with International Brandlaureate Personality Award". The Times of India. 2 March 2013. Retrieved 2 March 2013. ↑ "Adnan Sami Creates History at Wembley: Massive Sold out Concert for the 8thTime in a Row…! - Bollywood Bee". www.bollywoodbee.in. ↑ "People of Pakistan still love and admire me: Adnan Sami – Diplomatic News, Breaking news, news of Pakistan, global and current affairs". www.diplomacypakistan.com.